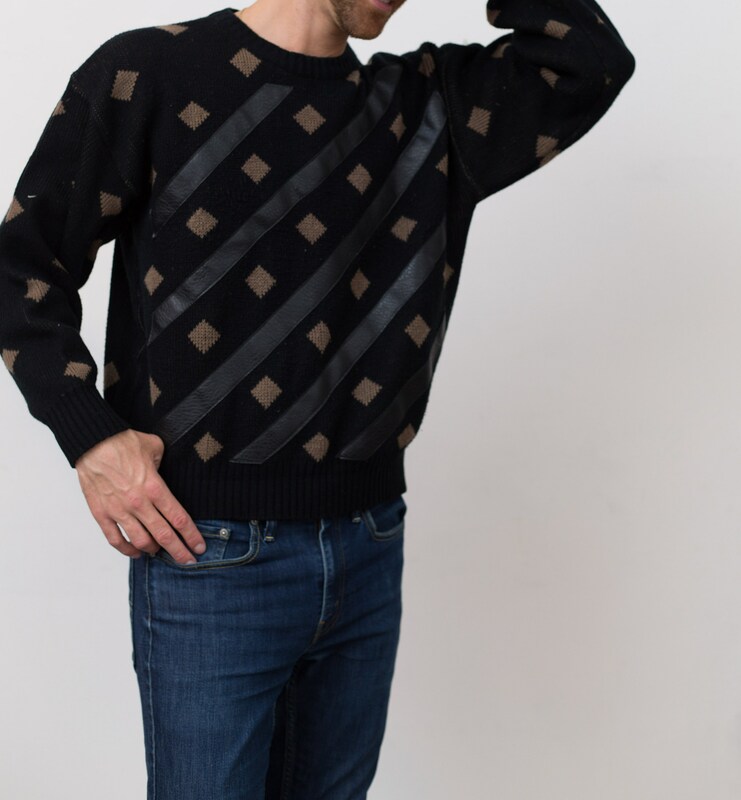 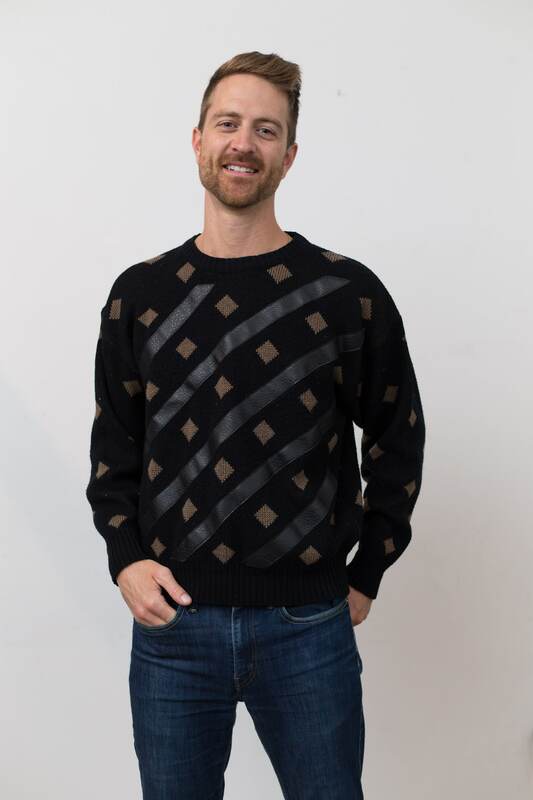 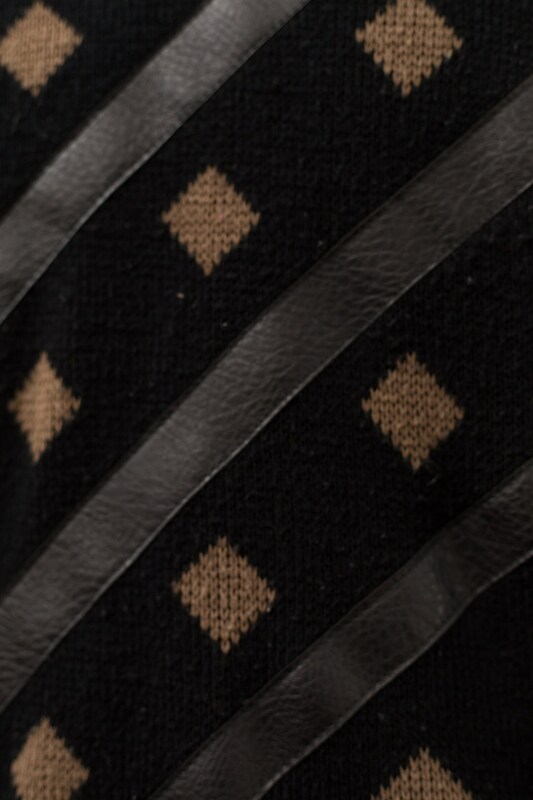 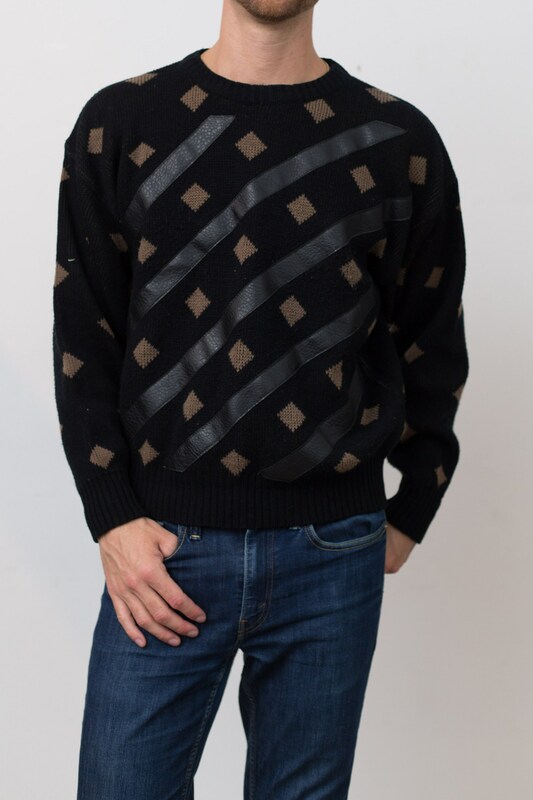 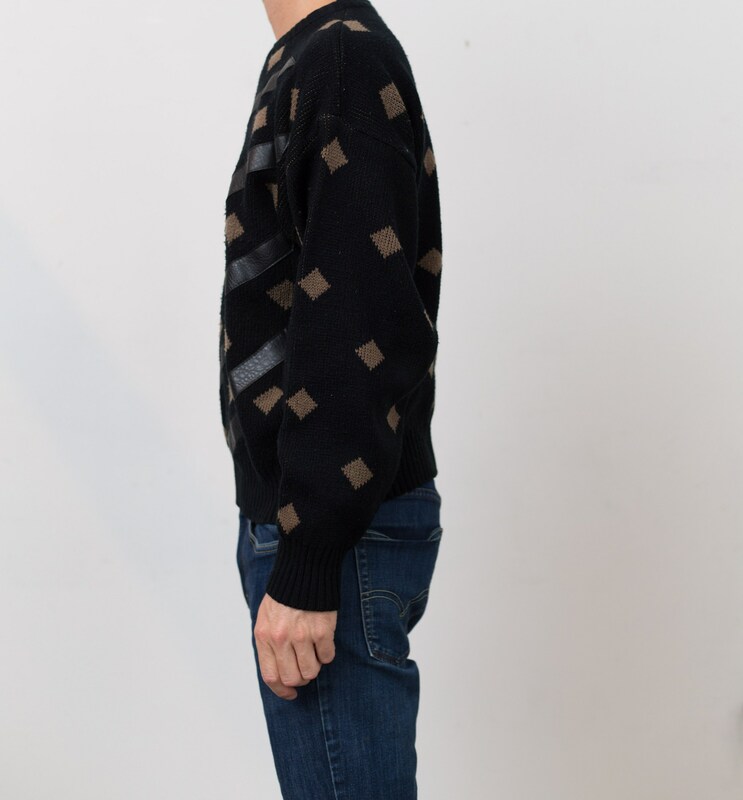 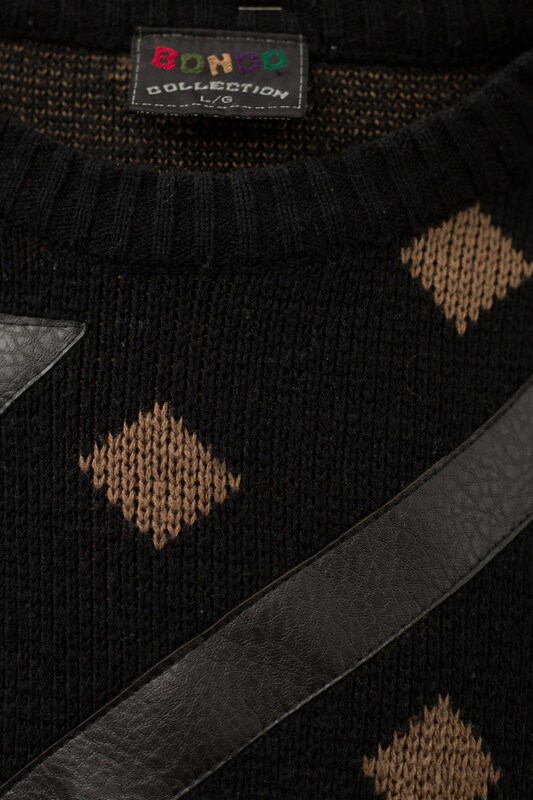 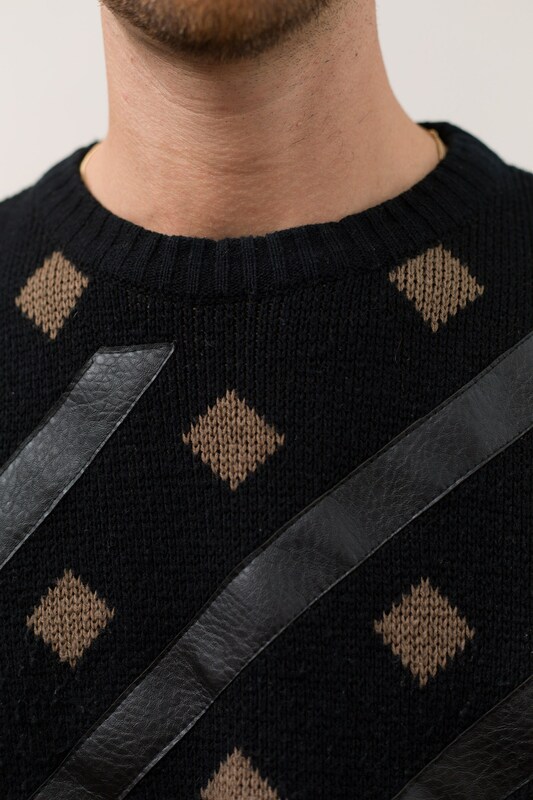 This is a stylish vintage oversized medium black pullover sweater that features a fantastic geometric square and striped pattern. 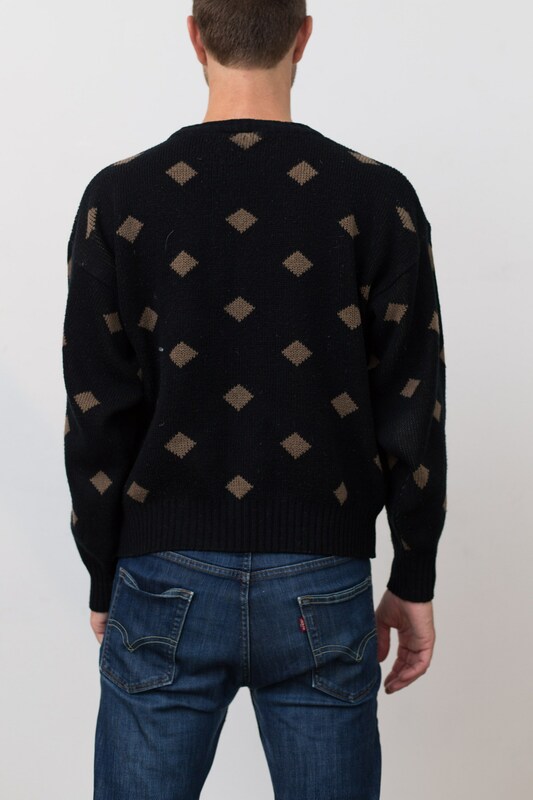 Size: tag reads large (model wears medium). 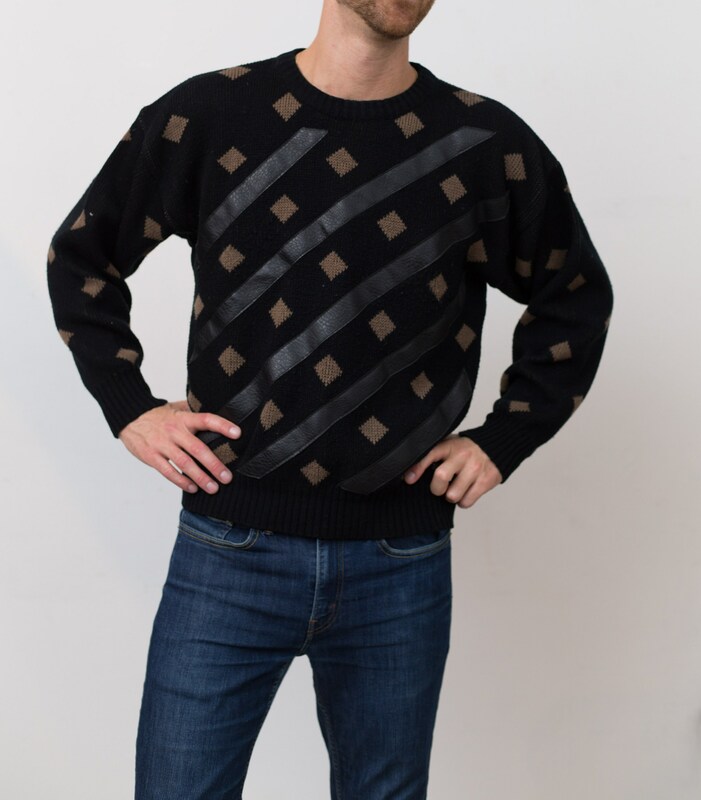 Fits Like: Women's large, men's short medium.